Sunset is one of the better heirloom varieties, notable for high yields and mild, pleasant flavor. Sunset has just a hint of tartness, but the flesh is also fairly sweet, which makes me think of squash. 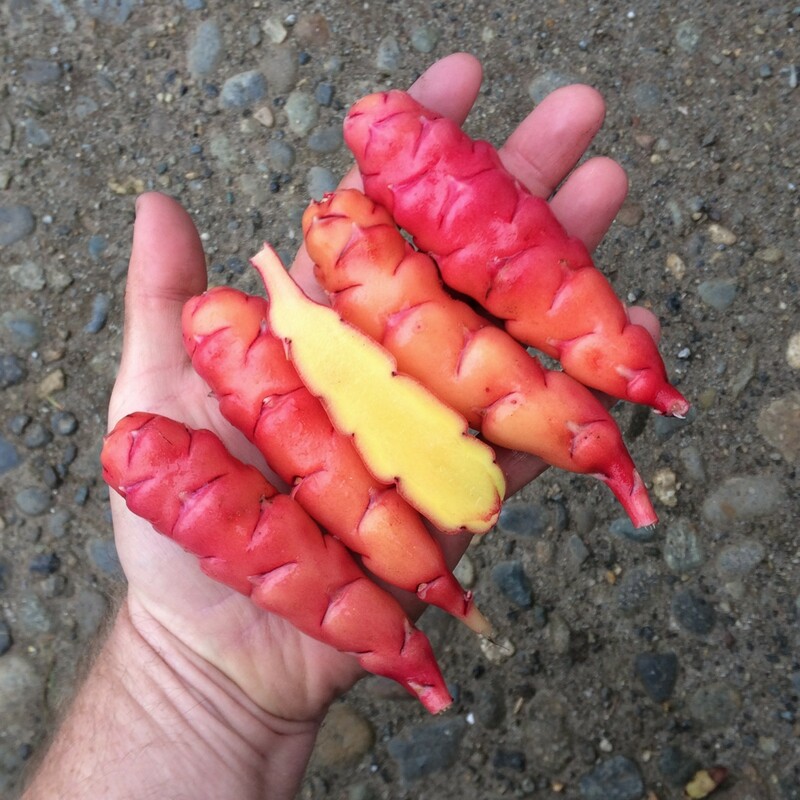 The tubers lose some color in cooking, but remain yellow inside and out. Sunset plants are moderate in height, but with a large number of stems, and sprawling at maturity. 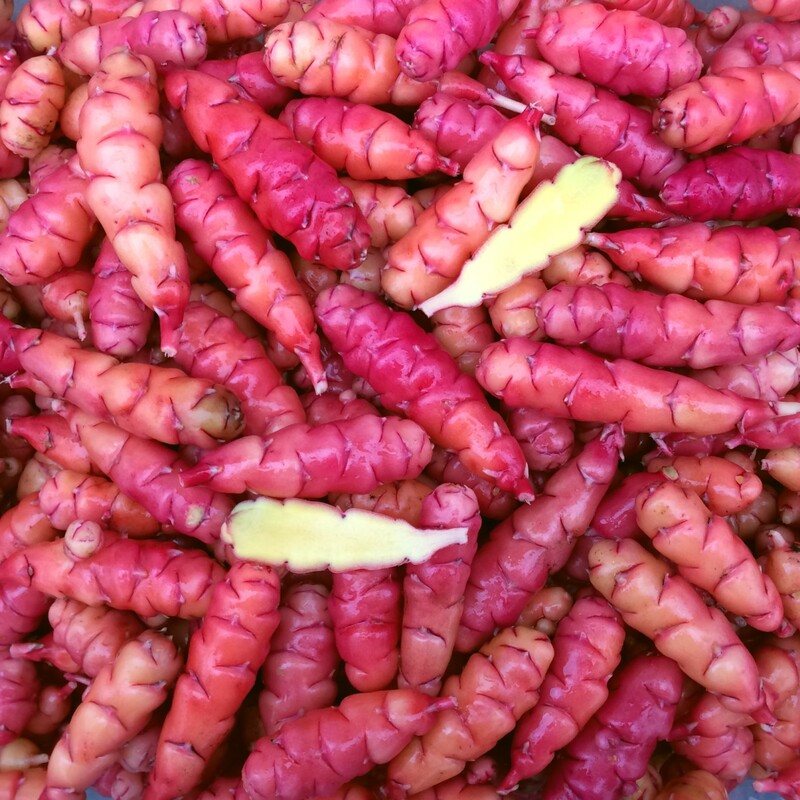 The tubers are produced on long stolons, which prevents crowding and resulting in uniform shapes. Tuberization photoperiod is about 12.5 hours, roughly a week earlier than most heirloom varieties. Average yield is 2 pounds. Maximum tuber length is 4.9 inches and average tuber length is 3.3 inches, so this variety skews decidedly toward larger tubers. Average tuber count is 38. Sunset is a moderate flowerer with a short-styled flower. It typically flowers here in July and August.